The COPP Series modules have been designed as a complete range of versatile and flexible P-NET modules, consisting of I/O and multifunction I/O modules, transmitters, communication modules, colour touch display and process automation controllers. COPP modules are programmable in COPP by the use of VIGO6 – The integrated development environment for process control. Process and machine control applications come in many different sizes and levels of complexity. COPP modules are used for machines/systems with a distributed architecture and for serial produced machines/systems, but also within applications which demand the greatest performance, flexibility and networking capability. The architecture scales in size from a few I/Os to over several thousand I/Os. The COPP family consists of the PD 800 Series, a selection of PD 600 Series modules including analogue I/O modules, one of them with HART communication interface, level sensor PD 940 Dipstick, PD 947 GPS Navigation Receiver, PD 440 Flow Transmitters etc. Please consult the individual data sheet for more information. – I/O modules can be mounted close to the process unit, eliminating the need for marshalling panels, homerun cables and reducing or eliminating field auxiliary rooms. 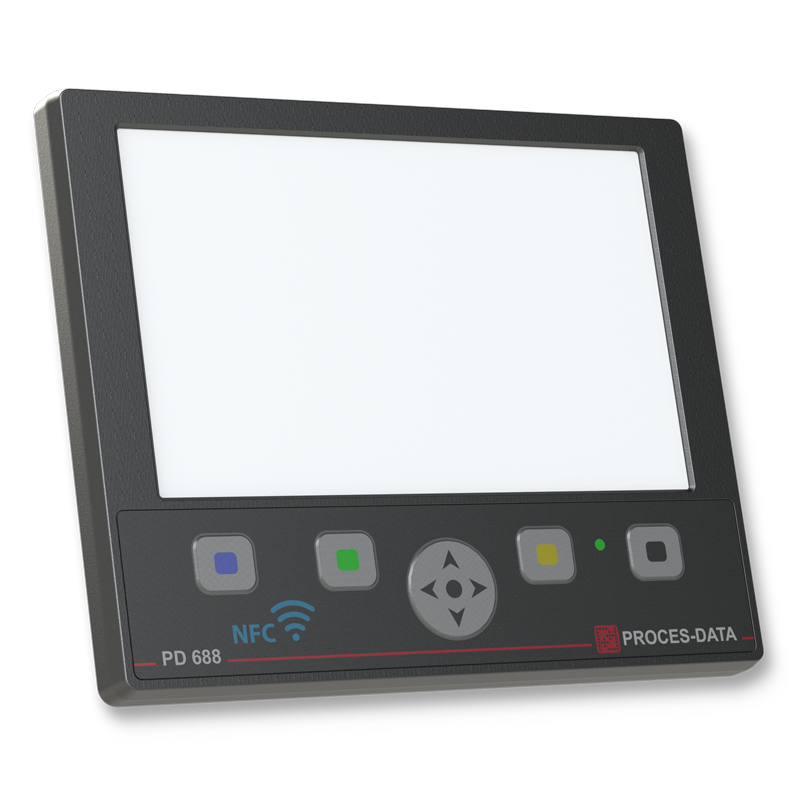 – The PD 800 Series of Distributed Process Intelligence – DPIs, for use as high performance distributed computing elements within highly complex as well as simple automation systems. Another term for this type of device is Programmable Automation Controller, often referred to as PAC. – HMI – PD 688 Display, features colour touch display, a number of communication interfaces, digital I/Os, RFID Reader, Micro SD-card slot, battery for backup etc. 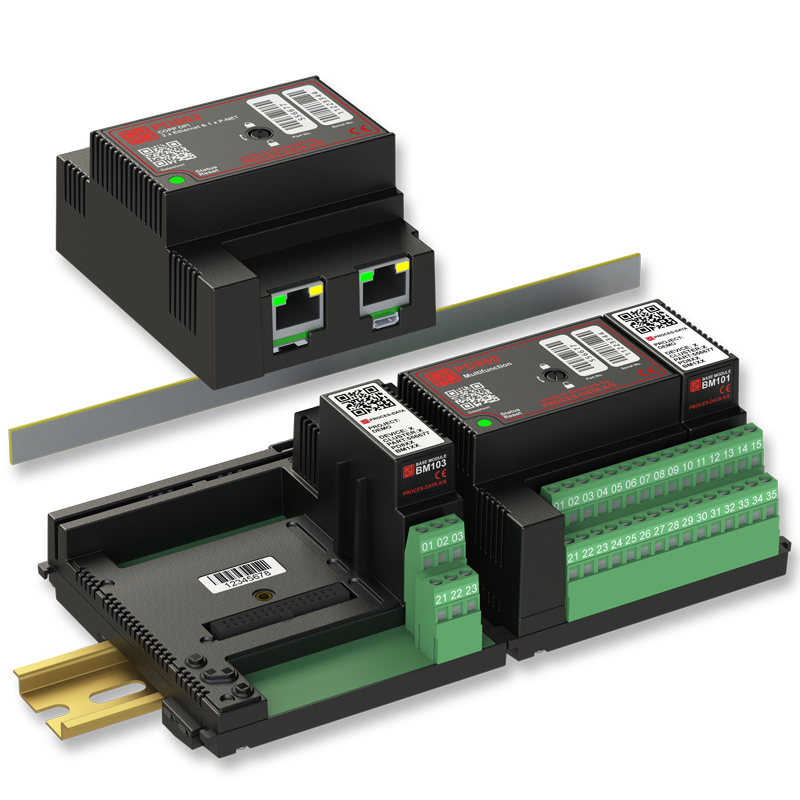 The philosophy behind this innovative range of modules is to provide the systems designer with a highly flexible means of constructing a local cluster of I/O modules, consisting of a single or multiple intelligent and programmable units. Each cluster would include a PD 610 Gateway module or a PD 80x DPI used to provide connection between Ethernet and Light-Link P-NET. Thereafter, virtually any number of I/O modules of any desired type can be clipped together to form the local requirement. Additionally, further DPI modules may be included, each of which could provide one or two P-NET (RS485) connections, one or two Ethernet (100 Mb/s) connections, USB interface, Micro SD card for data storage, battery for backup, etc. 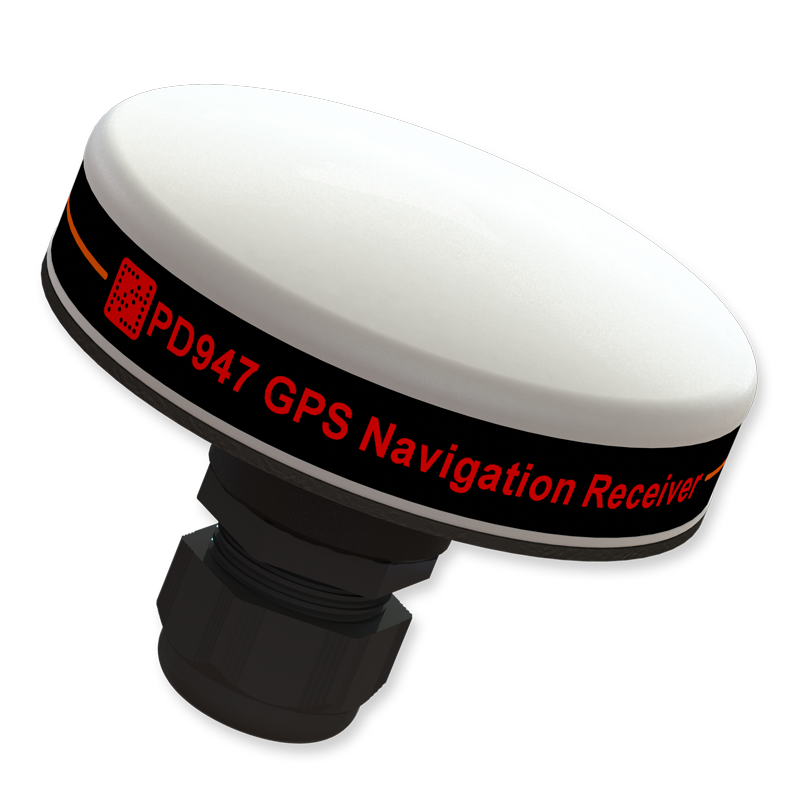 The DPI module is programmable, which means that a part of, or complete automation application can be built and downloaded by the user. Distributed control reduces the influence of a malfunction to a limited area, letting the remaining plant continue working. Each cluster would normally include one “Simple” P NET Interface module. 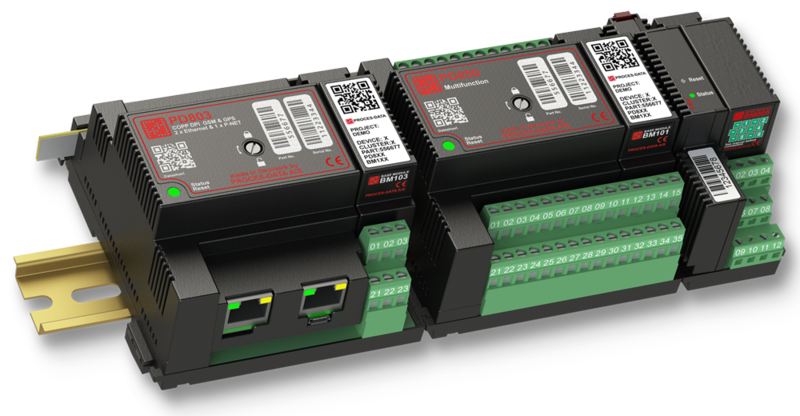 This provides a connection between RS485 P-NET (the rest of the system) and Light-Link P-NET, which is the means of fieldbus communication between the local modules. Thereafter, virtually any number of I/O modules of any desired type can be clipped together to form the local requirement. Cluster consisting of: PD 803 DPI, PD 850 Multifunction and PD 644 Analogue input module with HART communication interface. In P-NET networks, where all devices are interconnected exclusively by Light-Link, communication speeds of up to 230.4 kbit/s are permitted. This is 3 times the normal P-NET speed when compared to using standard RS485 connections. Light-Link provides galvanic isolation between each member in a communication chain. 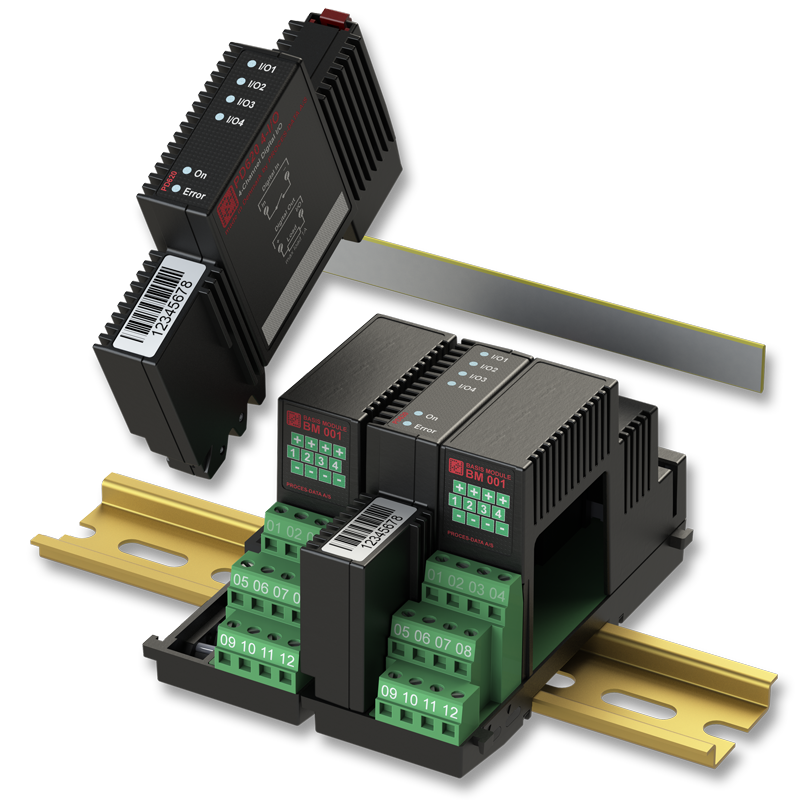 Due to their unique construction, individual Base Modules are simply mounted side by side on the DIN rail. However, there is no need to perform any communication wiring between them, because this is achieved using multi-path fibre optic pipes, mounted on each side of every module. Furthermore, once the number of modules required has been mounted, power to each is provided by clipping in a single Power Rail strip, thus eliminating further wiring. Due to the construction philosophy of reserving one terminal for each external wire, no additional wiring is required within the installation box or mounting panel. 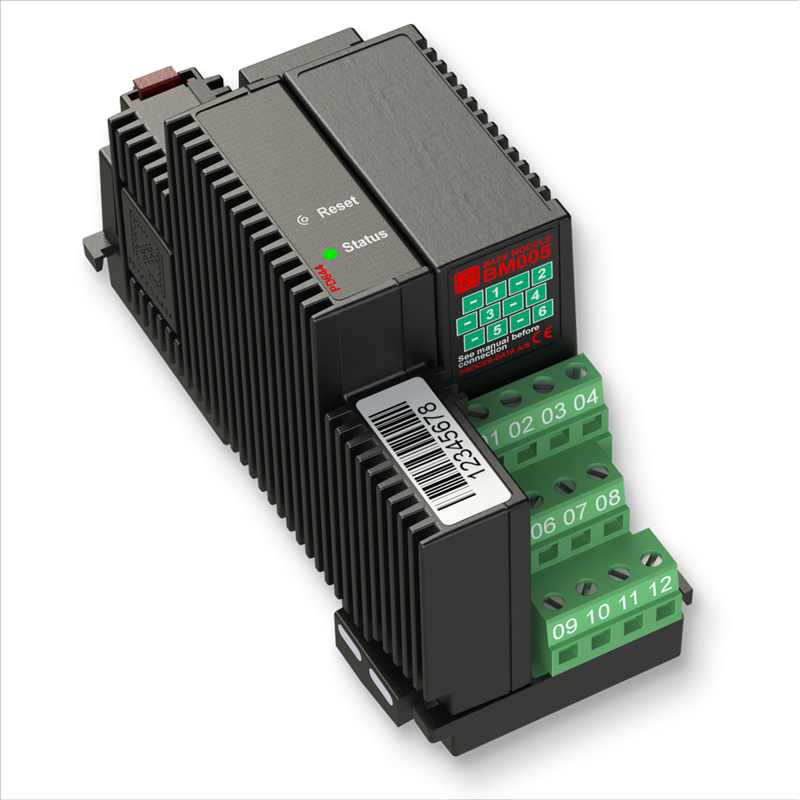 The module itself is an intelligent terminal block that enables direct connection of external signals without using a common terminal strip, which would traditionally have to be mounted in the bottom of the control panel. PD 800 Series modules are made up of two parts – the electronics and the base module holding the terminals. The electronics block also mounts the I/O, power and a three-coloured LED, and can be removed from the base module even when power is applied, and without interfering with the operation of the rest of the cluster (hot-swapping). Terminals are stacked on one side, for easy access and minimum wiring area, and are designed for one wire per terminal. Modules may be equipped with a third row of terminals intended for high power purposes. 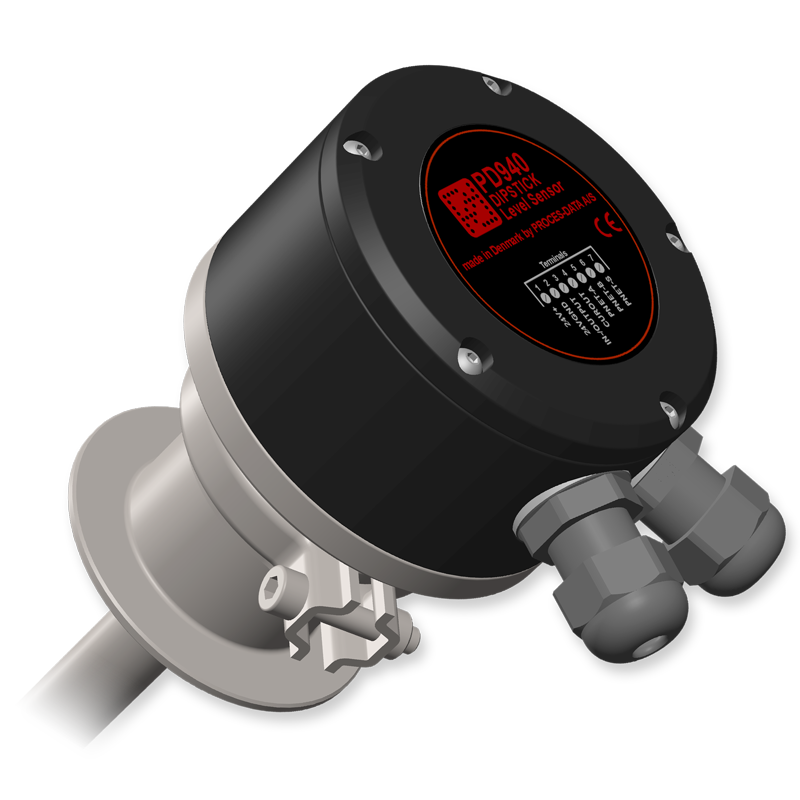 The elimination of “common” terminals means that any transducer/sensor/ actuator can be added/removed without affecting the connection of any other. The upper surface of the terminal part provides a means to attach a customised label relevant to the operation of the module, thus aiding wiring, commissioning and maintenance. PD 800 Series modules are made up of two parts – the electronics and the base module holding the terminals. Power supply is distributed easily via the power rail. 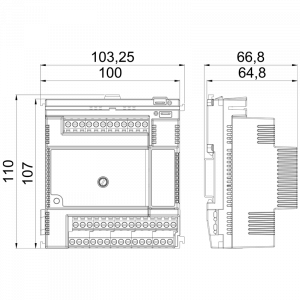 The COPP modules, i.e. the PD 800 Series, consist of a versatile mixture of both standard input/output and special modules, and additional modules will be regularly added to the family. Coupling this with the option of adding local programmability and gateways ensures that the Multi-master, Multi-net facilities offered by the P NET Fieldbus protocol can be fully utilised. Due to the fact that each module offers a limited number of channels, local clusters can be designed in such a way that it reduces unused channels to a minimum. Physically, the modules are designed to operate within a wide range of industrial static or mobile environments, with a nominal power requirement of 24 Volts DC (min. 12 V, max. 32 V – see individual specifications), including polarity reversal protection, and an operating temperature range of –25 °C to +70 °C. The module casings are moulded using UL approved plastic. The module design is ideally suited for mounting within standard industrial or domestic contact breaker boxes having an integral DIN rail and transparent access window. 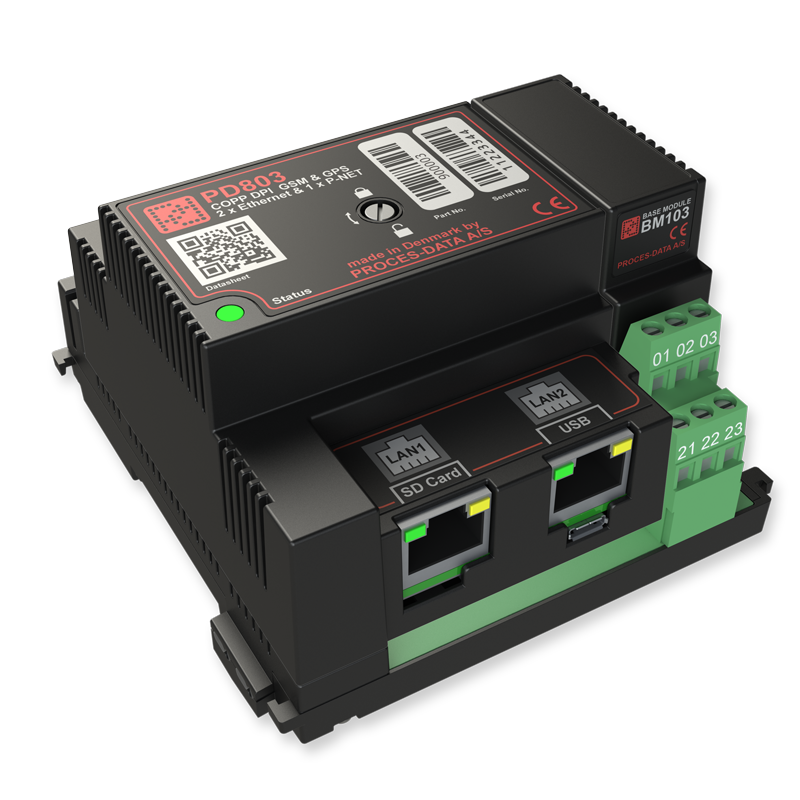 The compact nature and exceptionally wide power supply and environmental characteristics of the COPP modules, the PD 800/600 Series, make them ideal candidates for both machine and wide area plant use, as well as for stand-alone Fieldbus transmitters. The ability to form customised and programmable clusters of modules for distributed location around a plant or building provides a virtually infinite variation of system designs. 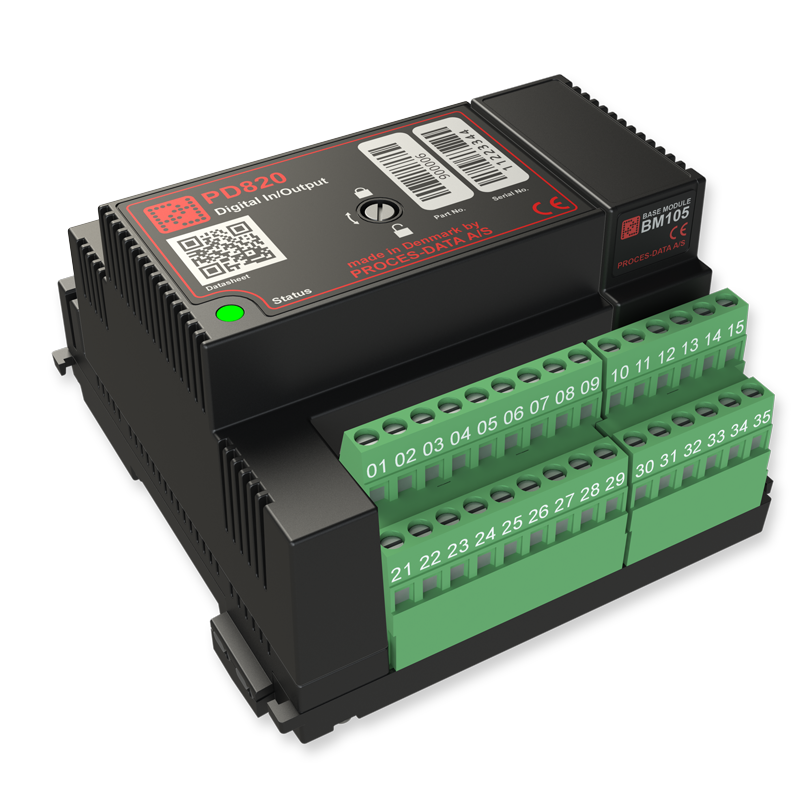 Furthermore, interconnection by means of P-NET means that these series of modules can be added to already installed P-NET systems using modules from other families.